When I am taking in a beautiful scene in nature – a flower basking in the sun’s rays or a breathtaking mountain view of snow-covered peaks – I am at home. I feel joy and gratitude. I am able to do my best thinking. I have an appreciation for nature and all that it brings to my life. However, it’s not always easy to carve out time for nature. I am a mom of three, entrepreneur, wife, sister to six and more. That’s why I love when I come across easy ways to protect the planet. Here are five things my family has done to reduce waste, conserve water and protect wildlife. Buy some metal straws for your kids. 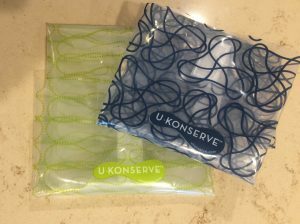 I really love U-Konserve plastic wraps for cheeses and sandwiches. 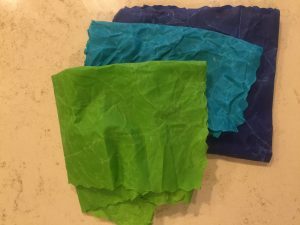 We also tried Etee wraps but found they felt a little too waxy. 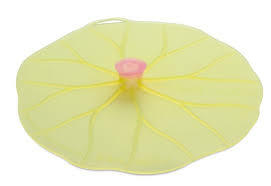 Use these flower toppers (Charles Viancin Lilypad Lid) instead of plastic wrap for bowls. And don’t forget your reusable bags when you go to the grocery store! Consider installing a rain barrel. We use ours for our garden and flowers. These can be purchased at your local hardware store or the Conservation Foundation in Naperville, which upcycles old plastic barrels to create rain barrels. A couple other easy things to do are use the water in your dehumidifier to water outside plants and turn off the water when you brush your teeth. Did you know this can save 200 gallons of water every month from just brushing your teeth? 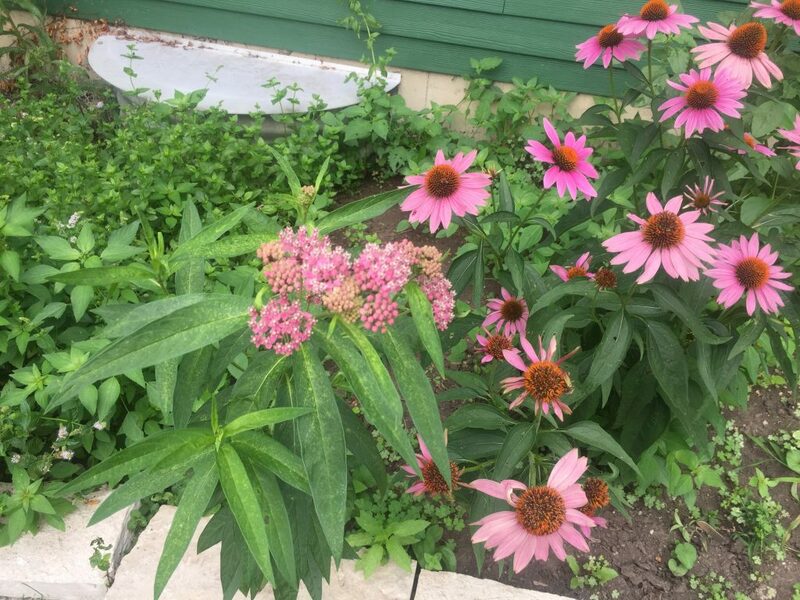 Purple coneflowers are my favorite. What are yours? Bees are a critical part of nature and pollination. Did you know they are under stress and their numbers are decreasing. Without bees flowers, fruits, berries and crops are jeopardized. 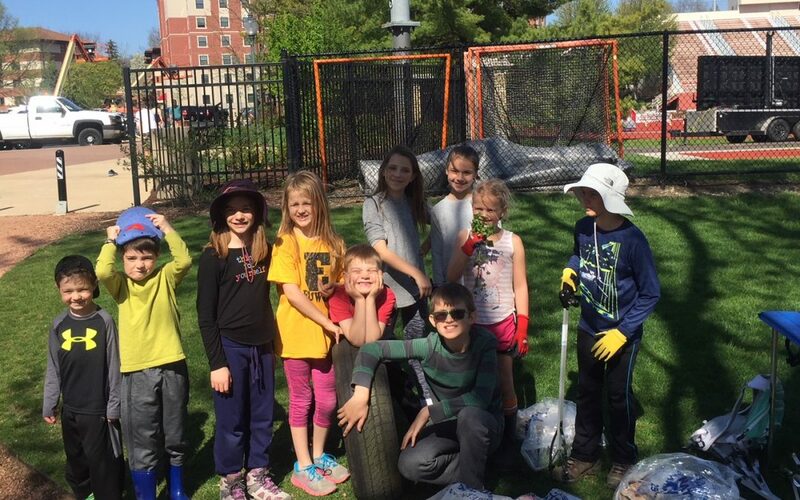 If your town doesn’t collect it at your house, perhaps your kids would take on the recycling as a chore and you could take it to the recycle center together. 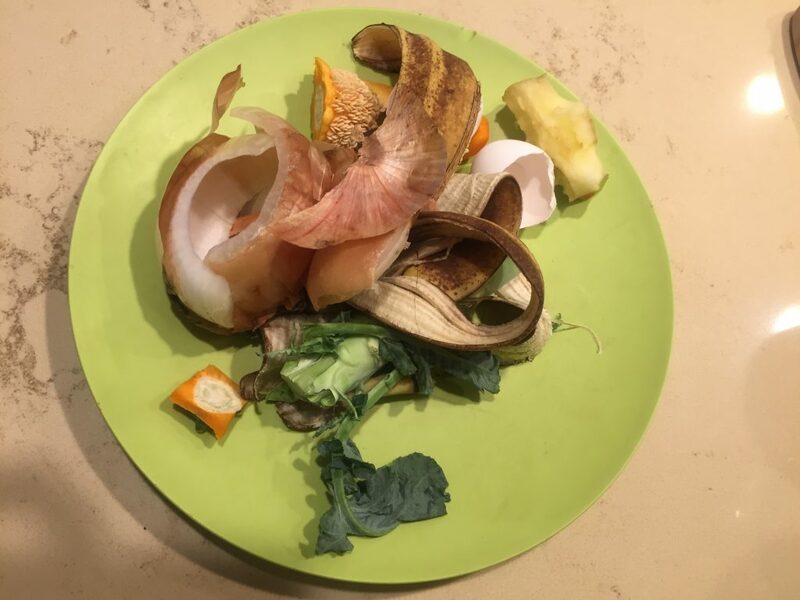 Even if you won’t use the soil created, perhaps there is a spot on your property or at your apartment building where you can put your food waste. We have an old green plastic plate that sits on our counter and is taken out once a day. 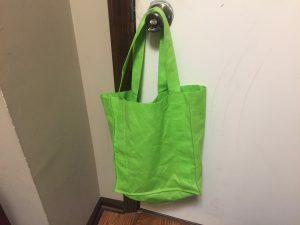 As a family of five, we typically have only two white kitchen garbage bags of trash a week. Let me everyone know how your family protects the planet by commenting below.